I’ve got a character I’ve been working on that was originally going to be quadruped. After modeling the hands and arms of the character I think I’m going to change the character around to be more of bipedal than a pure quadruped. So what’s the best starting position for this character to be in for rigging? 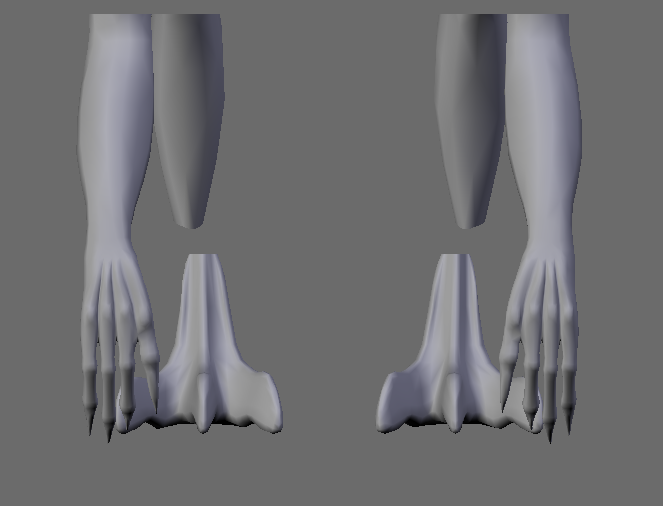 The feet are still a work in progress but there to give at least and idea of proportions.